Bow hunting is a very personal sport. Every hunter has his own purposes for hunting. Just like the variety in the reasons each of them has their own choice of accessories which is why there are so many accessories available for a hunter. 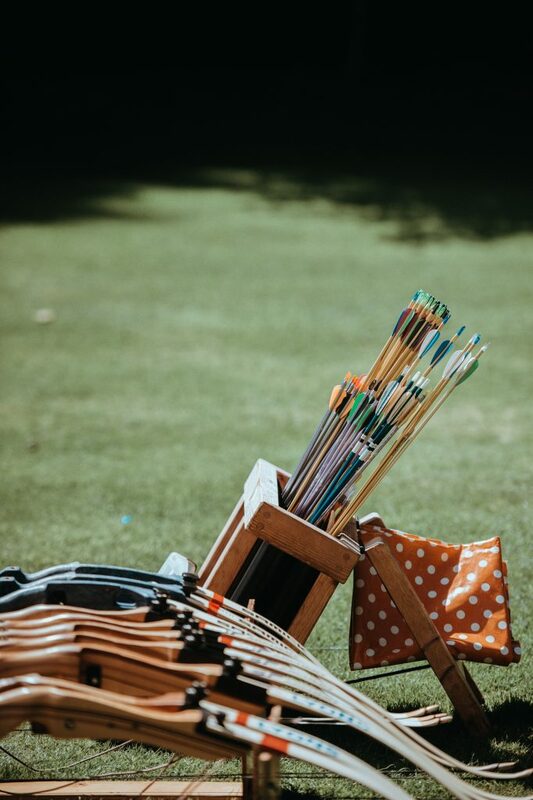 There are many accessories which only add look to your bow and many which enhance your shooting skills. Let us see some of the important bow accessories every hunter must have. These are a necessity for hunters to improve their accuracy when hitting a target. These are probably the first accessory most people purchase. You should look for bright fiber optic pins, a bubble level, and a circular pin guard. Today, most of the sights have these features. The fiber optic pins will help you in dim conditions. A pin guard will act as a reference point when using a peep sight. A bubble level is necessary to ensure that you have the bow in the correct level. This will increase your chances of a hit. The sights are very important bow accessories. These help to increase your performance as a hunter. These are tied to your bow strings. They are available in many diameters. For hunting purpose, the bigger the diameter, the better it is as they will allow for more light in poor light conditions. The peep sights give you a consistent anchor point to improve your accuracy. Target shooters, however, prefer peep sights of smaller diameters. These tend to be more accurate. The peep sights are necessary bow accessories for all types of shooters. These are essential for every hunter for accuracy. When it comes to a compound bow these are probably the most important of all. Arrow rests come in three main types. They are the shoot through rests, drop away rests and the full containment rests. The shoot-through rests are the most popular bow accessories among the target shooters. But the hunters don’t find much use with this arrow rest. They can create fletching issues if not configured properly. The drop away arrow rests have become very popular. They are tied to your buss cable with a short rope. When you pull the bow, the rest moves up and as you shoot the rest drops away allowing the arrow to move freely without fletching contact. The full containment rest is a fool-proof arrow rest and the favorite bow accessories of the hunters. It will give full support to the arrow. But target shooters are not in favor of this as they fear that the bristles will present more possibilities of fletching contact. This entry was posted in Year Zero Survival Blog and tagged apocalypse, articles, autos, best prepper blogs, best prepper food, best prepper gear, best prepper items, best prepper podcasts, best prepper sites, best prepper supplies, best prepper websites, best survival gear, best survival kit, bow and arrow, bow hunting, bows, british preppers, bushcraft, cross bows, disaster transportation, doomsday survival gear, doomsday survival kit, doomsday survival list, doomsday survival supplies, earthquake survival kit, emergency prep supplies, emergency preppers, emergency survival gear, fitness, healthy lifestyle, homesteading, hunting, news, podcasts, Preparedness, prepper, Preppers, prepping, self-defense, SHTF, survival, survival fitness, survival vehicles, survival weapons, surviving, TEOTWAWKI, trucks, video, weapons, websites by Guest Writer. Bookmark the permalink.